I’m Audrey Arias, an intern at Erzullie. I’m 20 years-old, and currently studying CFAD - Advertising Arts in the University of Santo Tomas. My view about style is that it is a way of expressing yourself through fashion. How you dress up is a sign of how comfortable and confident you are with your clothes. It’s your way of showing who you are by the way and what you wear. 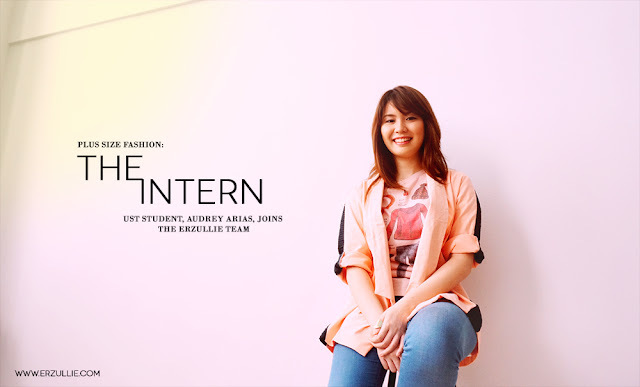 I entered Erzullie because I think it was a different experience for me since it is basically about plus size women empowerment. And I thought it was a great and wise idea to choose the company because I love how it symbolizes that no matter what you look like on the outside, you can still shine and let your inner fierce glow through your outfit. I am currently excited for my projects here. First of which would be the 5 outfits that I think would look great on an Erzulliesta. I also did some plus size editorials (some of you ladies may have already seen it) for the brand. Finally, the interviews of some of the fiercest Erzulliestas around. Hope you ladies love my work! Lots to learn and a big opportunity to spread some fierceness all around.